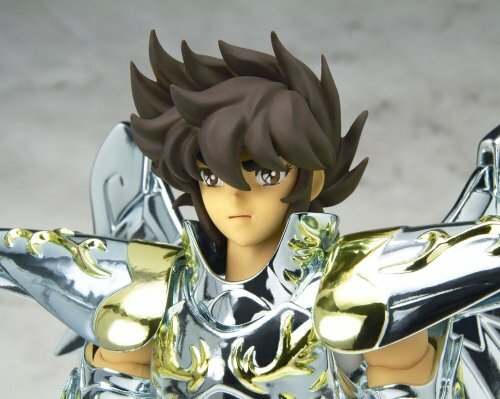 This figure from anime Saint Seiya Hades – Chapter Elysion, this is Saint Seiya : God Cloth Pegasus Seiya Action Figure . 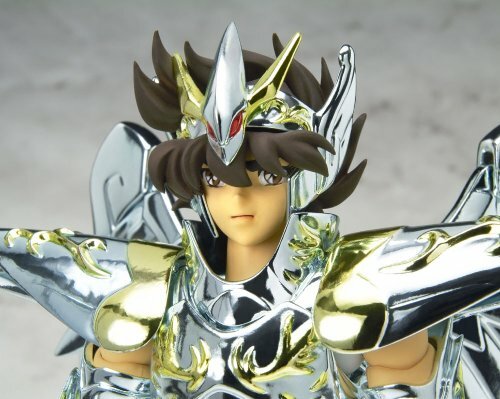 First of the five Bronze Saints to achieve the ultimate God Cloth, Pegasus Seiya is offered as this super-poseable action figure donning his royal God Cloth armor. 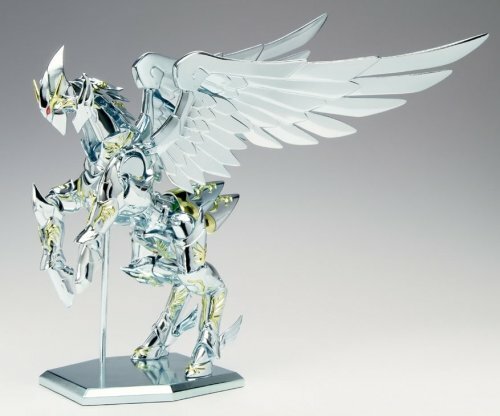 Presented in a rectangular version of the line’s distinctive “book-box” packaging, this well-articulated PVC figure comes with his gleaming light-silver-accented-with-gold God Cloth parts of die-cast metal, spare hands, a hair part so that you can display him with or without his headgear, and all the makings for the gorgeous winged Pegasus Object. Remember, this is a God Cloth not a Gold Cloth. 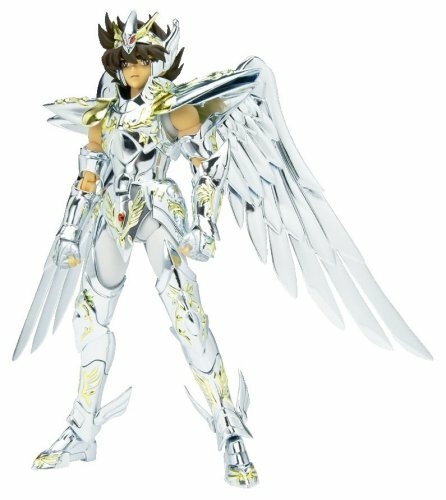 Saint Seiya Myth Cloth figure released in late June 2008. The most powerful Cloths. They only appeared in the last chapters of the manga and appeared in Hades OVA Chapter Elysion “Densetsu No God Cloth” (伝説の神聖衣) “Legendary God Cloths”.